The Alfa Romeo Montreal is a 2+2 coupé automobile produced by the Italian manufacturer Alfa Romeo from 1970 to 1977. 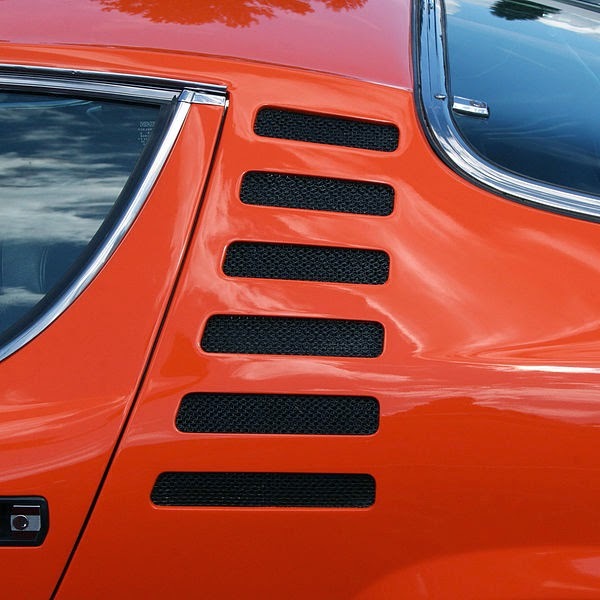 The Alfa Romeo Montreal was introduced as a concept car in 1967 at Expo 67, held in Montreal, Canada. Originally, the concept cars were displayed without any model name, but the public took to calling it The Montreal. 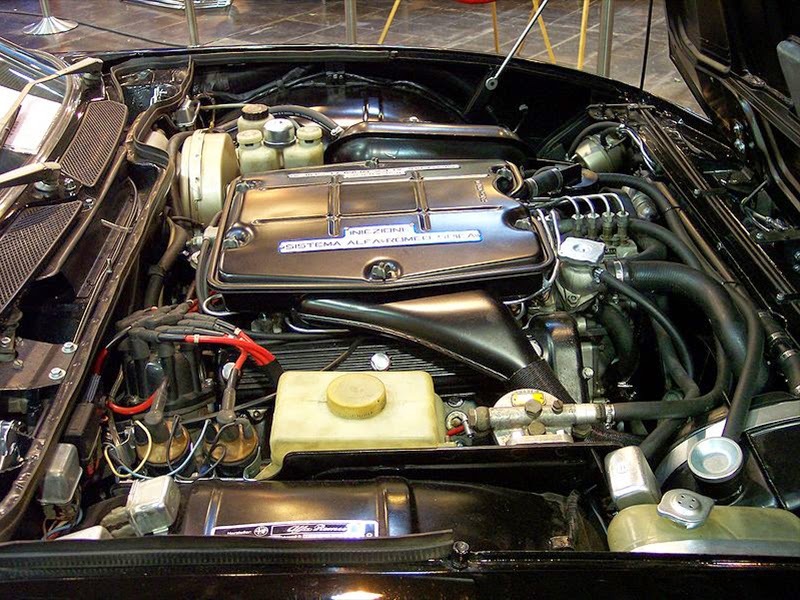 It was a 2+2 coupe using the 1600 cc engine of the Alfa Romeo Giulia Ti and the chassis of the Alfa Romeo Giulia Sprint GT, with a body designed by Marcello Gandini at Bertone. One of the two concept cars built for Expo 67 is displayed in the Alfa Romeo Historical Museum in Arese, Italy, while the other is in museum storage. The first production car, Tipo 105.64, was shown at the 1970 Geneva Motor Show and was quite different from the original, using a 2593 cc 90° dry-sump lubricated V8 engine with SPICA (Società Pompe Iniezione Cassani & Affini) fuel injection that produced around 200 PS (147 kW; 197 hp), coupled to a five-speed ZF manual gearbox and a limited-slip differential. This engine was derived from the 2-litre V8 used in the 33 Stradale and in the Tipo 33 sports prototype racer; its redline was set at 7000 rpm, unheard of for a V8 at that time. 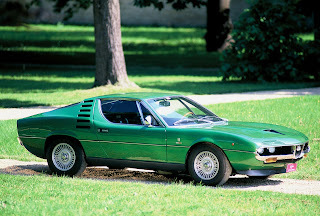 The chassis and running gear of the production Montreal were taken from the Giulia GTV coupé and comprised double wishbone suspension with coil springs and dampers at the front and a live axle with limited slip differential at the rear. Since the concept car was already unofficially known as The Montreal, Alfa Romeo kept the model name in production. Stylistically, the most eye catching feature is the car's front end with four headlamps partly covered by unusual "grilles", that retract when the lights are switched on. Another stylistic element is the NACA duct on the bonnet. The duct is actually blocked off since its purpose is not to draw air into the engine, but to optically hide the power bulge. The slats behind the doors contain the cabin vents, but apart from that only serve cosmetic purposes. Paolo Martin is credited for the prototype instrument cluster. The Montreal was more expensive to buy than the Jaguar E-Type or the Porsche 911. When launched in the UK it was priced at GB£5,077, rising to GB£5,549 in August 1972 and to GB£6,999 by mid-1976. Production was split between the Alfa Romeo plant in Arese and Carrozzeria Bertone's plants in Caselle and Grugliasco outside Turin. Alfa Romeo produced the chassis and engine and mechanicals and sent the chassis to Caselle where Bertone fitted the body. After body fitment, the car was sent to Grugliasco to be degreased, partly zinc coated, manually spray painted and have the interior fitted. Finally, the car was returned to Arese to have the engine and mechanicals installed. It is worth noting that because of this production method, there is not necessarily any correspondence between chassis number, engine number and production date. The Montreal remained generally unchanged until it was discontinued in 1977. By then, production had long ceased already as Alfa were struggling to sell their remaining stock. Total number built was 3917; none of them were sold in Montreal, Quebec since Alfa did not develop a North American version to meet the emission control requirements in the United States & Canada. A Montreal can be seen in the 1974 movie The Marseille Contract where Michael Caine drives a metallic dark brown example. Last updated on 22 April 2014 at 14:56.